The beauty of the cello sound enriched with a sublime sense of humor, is the way quattrocelli reach the audience worldwide since 1997. Away from mainstream, the four gentlemen combine different musical genres into the experience of a unique and sophi­s­ticated classical enter­tainment. Their own point of view is the source of the fact, that the entire repertory of the quartet is especially arranged and composed for the ensemble. Lalo Schifrin, the composer of the track to ​"Mission Impossible", dedicated the piece ​"Cross­currents" to quattrocelli, which was supported by the Siemens Foundation in 2008. During the inter­na­tional Rutesheim Cello Academy the opus was performed for the first time and broadcasted worldwide by Deutsche Welle DW. At the beginning of the quattrocelli story a grant from the Sellheim Society helped get things started with an important series of radio and TV perfor­mances. Invitations from all over the world followed. Among others, the group performed over 140 shows in the United States. As a frequent guest at festivals in all of Europe, the United States and Asia the quartet reaches the most different audiences by the diversity and high class of their perfor­mances. The energetic passion and unexpected musical surprises are an explosive mixture, which amuses, surprises and takes the listener into a world never expected by looking at a classical music instrument. Multiplied by four! Extending its concert activity, quattrocelli visited Asia more frequently since 2006 and celebrated an amazing success of a two-week concert tour to Japan and South Korea in July 2014. Besides shows in Germany, the upcoming inter­na­tional tours will lead the quartet to Lithuania, Romania, Poland and France. Since 1997, quattrocelli recorded five CDs in cooperation with different radio stations in Germany. The state Radio Bremen and NDR in Hannover have been the most important partners. The upcoming audio and video productions will be dedicated to special themes and ideas. "Scenes", the current program and CD concentrate on film music. The concerts consist of a perfectly balanced, tailor made array of scores from most important movies and classical music works of our time. An interactive and audiovisual experience, a journey through cultures, moods, colors and the world of musical humor, which makes the audience discover new musical landscapes. is a musician with heart and soul. 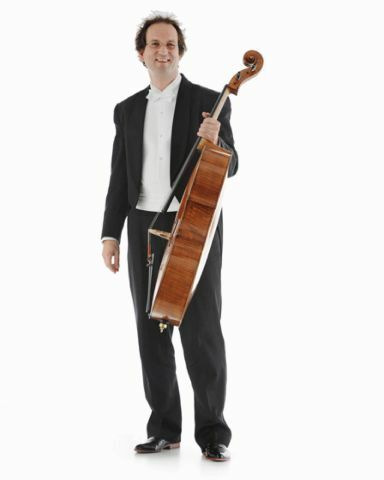 Although being the principal cellist of the Phil­harmonic Orchestra Altenburg-Gera he finds enough time and capacity to give concerts as a soloist and to be a passionate teacher at the ​"Musik­hoch­schule Weimar" and the ​„Latina“ in Halle. Above that he is the founder and musical director of the 12 Thüringer Cellisten and plays chamber music such as the ​„Leipziger Wave Gotik Treffen“. Inspiration he finds in encounters with outstanding perso­na­lities as Chick Corea, the Alban Berg quartet and the Bartok quartet or composers as Lalo Schifrin. With his Cello Akademie Rutesheim, a yearly running cello festival with inter­na­tional master­classes and concerts, the musical entre­preneur has showed how to present classical music successfully in nower days. With the festival he provides the opportunity for highly skilled budding cellists from all over the world to make valuable experiences and encounters on a high level. As arranger and studio musician he works with bands as ​"die Fantas­tischen Vier" or ​"Philipp Poisel" for film productions and live concerts. 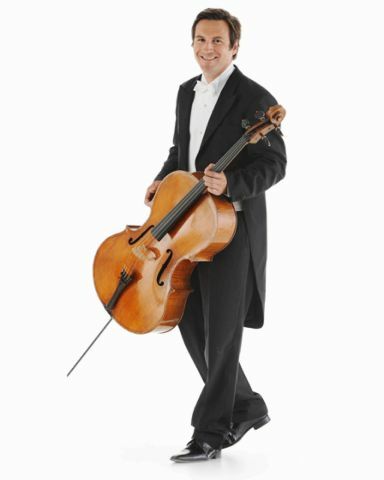 With his colleague Tim Ströble he forms the cello duo ponticellos. 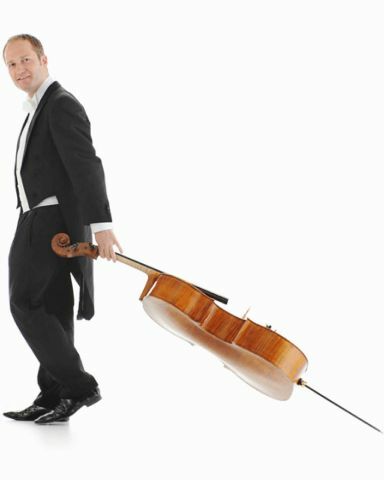 The principal cellist of the ​"Würt­tem­ber­gische Phil­harmonie Reutlingen" was scholar of the ​"Studi­en­stiftung des Deutschen Volkes" and today promotes young players as lecturer at various youth orchestras such as the IRO and the youth orchestra of Baden-Württemberg, Germany. As a truly dedicated musician he spends a lot of time seeking for new techniques and expressions on the cello. He is looking for inspiration in every type of music: film music, folk music, jazz and even heavy-metal. He composes and arranges for different scores mainly for his ensembles quattrocelli and ponticellos, but also for studio productions. 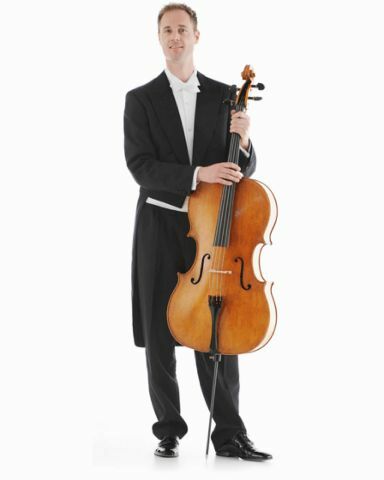 With the ​"Nieder­säch­sischen Staats­or­chester der Oper Hannover" he plays the complete cello-repertoire from symphony over chamber music to opera. Various scho­larships such as the Villa Musica, Live music now - initiated by Yehudi Menuhin, the Karl-Klingler-Scholarship and the Friedrich-Jürgen-Sellheim Society opened up oppor­tu­nities of impressing encounters as a soloist and chamber musician.